Colleen Ford, instructional faculty for the nursing program, was the first speaker for the semester Speaker’s Series, Feb. 5, at the community board room at Pima Community College District Office. Ford discussed upcoming changes for nursing in the healthcare and medical field. Nursing is evolving into a more tech-savvy environment and has evolved into a more comprehensive and advanced career. Nursing also has a lot more responsibilities while dealing with patients. Essentially, nursing is the “backbone” for the healthcare industry. In addition, the nursing industry offers a variety of opportunities that can be later specialized for advance opportunities for specific branches in the medical field. Ford primarily teaches lectures, skills labs and clinical fundamentals to first-semester nursing students. Ford is also a faculty adviser to a group of first- and second-semester nursing students. Ford has only been teaching for a couple of years. Her biggest goal is to become a high-quality educator for her students so they can be trained with the best methods. Student success is Ford’s biggest priority. “One of my biggest passions is improving student’s success and retention, so continuing to work with that and really making sure our students feel supported and can be successful throughout the nursing program,” Ford said. Ford already has developed bonds with current nursing students in the program. Students appreciate her generosity with her time and her patience and to mentor and advise each student. 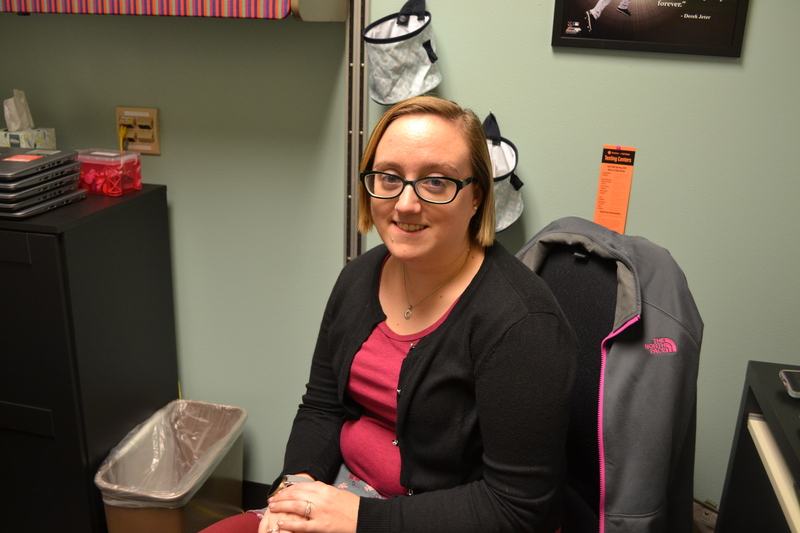 “She really cares about her students and meets with us individually and works on what we are struggling with, her humor helps and the way she lectures and the way she helps us learn through personal stories, she makes it know that she will meet with you individually and is willing to help after having a long day,” said Alyson Horace, 25, nursing student. Ford received her bachelor’s in science and nursing at Cedar Crest College in Allentown, Pennsylvania. Ford was originally working as a bedside nurse and started mentoring new graduate nurses at her job. Ford became aware of her teaching abilities by recognizing different ways to mentor new nurses. She decided to go back to school for her master’s degree at Grand Canyon University. Her new passion for teaching nursing students inspired Ford to get a position at Pima for first semester nursing students. She currently is pursuing her doctorate in nursing education and leadership. Ford is currently content at the position she at, but eventually would like to pursue a higher position of formal leadership. Ford said key mentors who have influenced her instructing at Pima are Cathy Carlburg and Susan Deering. Ford and Carlburg previously worked at the same hospital together. Carlburg has influenced Ford’s teaching but also pursue a doctorate degree in nursing. Deering (who has recently stepped down from being a full-time faculty member) influenced Ford to follow into her footsteps on her dedication for student’s success. The speaker’s series continued on March 5 with “Three-minute microbursts in the theme of transformation: A reading featuring PCC English Faculty” presented by English faculty. April 2 will include the “Information Poverty: Why students need more than information literacy skills to succeed in life” and will be presented by librarians Chuck Becker and Keith Rocci. All presentations will be at the community board room at Pima Community College District Office, 4905 E. Broadway Blvd.